Experience Italian styling and unrivaled performance with an Alfa Romeo lease from Ganley Alfa Romeo of Bedford. Our showroom in Bedford, Ohio is your portal to the latest Alfa Romeo models. When you lease with Ganley Alfa Romeo, you can expect cutting-edge innovation, superior sophistication, and road-ready performance. It is the perfect combination for a driver who wants the convenience of a car lease without the responsibility of long-term ownership or Alfa Romeo financing. Every Alfa Romeo model has the potential to be your match made in heaven, and Ganley Alfa Romeo of Bedford is here to make the connection. Visit our dealership in Bedford, OH to explore our Alfa Romeo lease options. 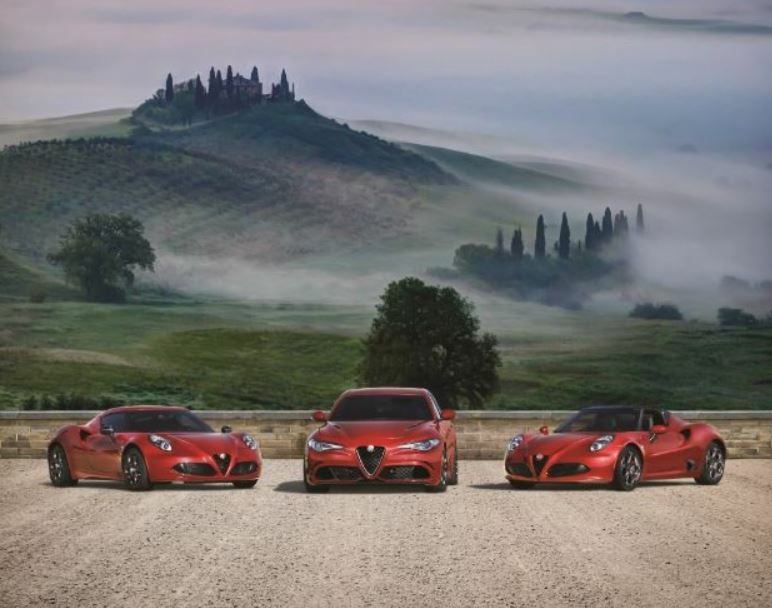 From the joyride-ready Alfa Romeo Giulia to the spacious and performance driven Alfa Romeo Stelvio to the commanding Alfa Romeo 4C Coupe, your options are attractive at every level. Explore your Alfa Romeo lease options to find the perfect vehicle for every drive. Discovering your Alfa Romeo lease is simple with Ganley Alfa Romeo of Bedford. Take a seat with our finance department to explore your auto finance options. Whether estimating your monthly car payment, arranging your auto loan terms, or mapping our your trade in value, our team is here to make your experience a success. Visit us in Bedford, OH to start the conversation.